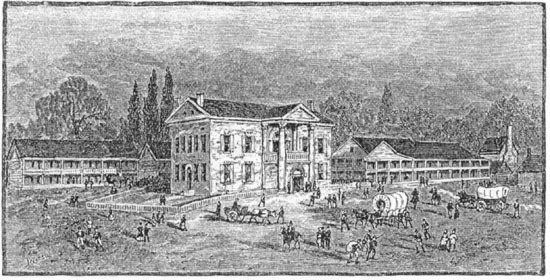 This is an engraving of Dahlonega, Georgia, in the early 1830s. Source: Author unknown. "Gold-Mining in Georgia." Harper's New Monthly Magazine (June to November 1879): 508.